Before focusing on quality play, it's important to understand the five main areas of child development! 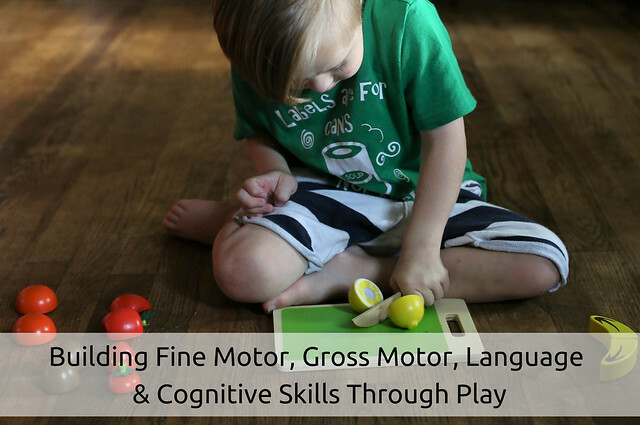 Gross Motor - Gross Motor skills involve the large muscles of the torso, legs, and arms. They are the "larger" movements that a child makes. Pulling up, Crawling, Walking, Running, Jumping and Climbing are great examples! 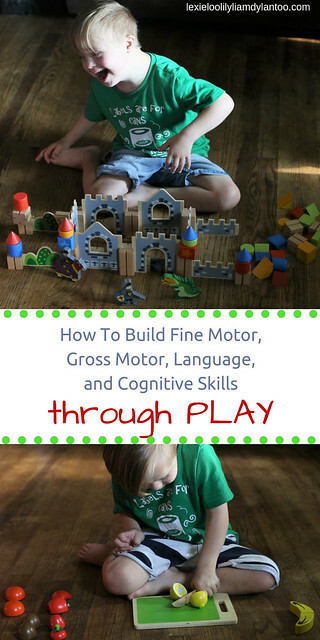 Fine Motor - Fine Motor Skills involve coordinating small muscles through movement. 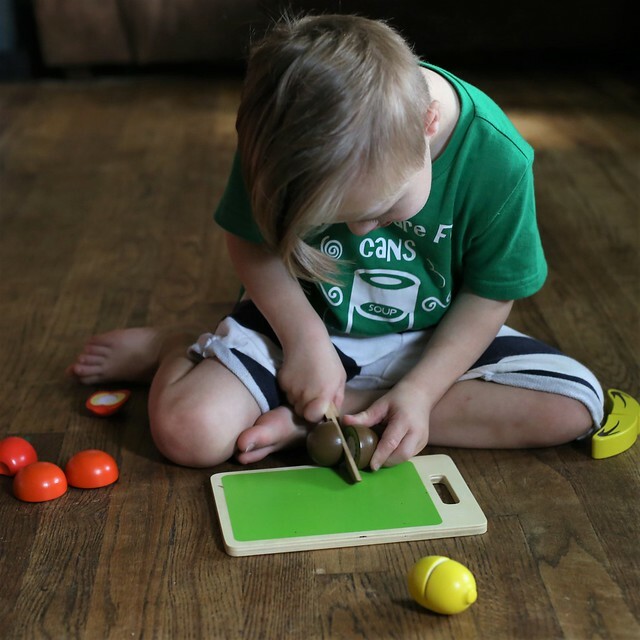 Think hand - eye coordination, and small movements such as grasping, reaching, moving objects, lacing objects, tying shoes, and using pencils/crayons/scissors. Language and Speech - This one is self explanatory! It's simply the development of speech and language. Cognitive - Cognitive Skills are the main skills the brain uses to think, learn, read, reason, understand, remember, and pay attention. Social and Emotional - Social and Emotional Skills are essential life skills! These skills help kids learn how to manage feelings, feel and show empathy, establish postive relationships, and solve problems. 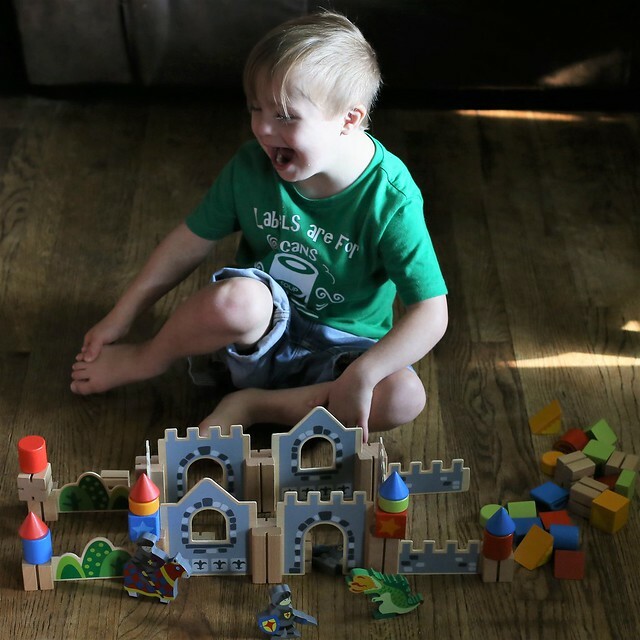 Will the toy grow with my child? Can this toy be played with by kids of different ages? 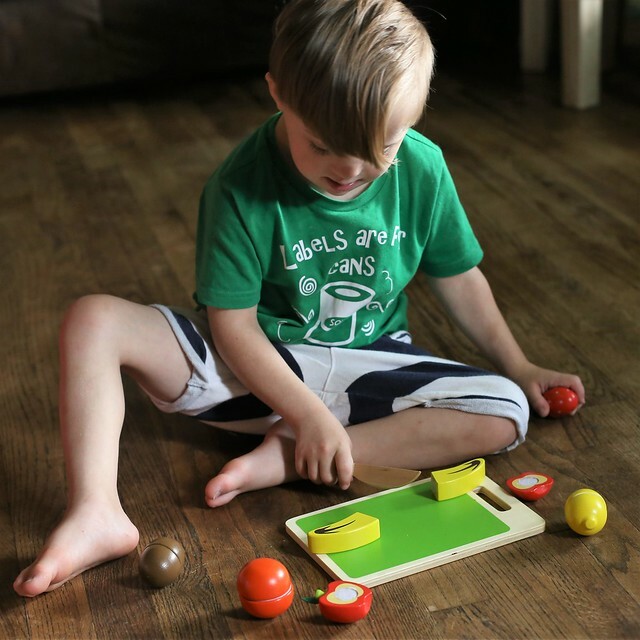 Will this toy help build skills in all five areas of child development, or at least focus on several areas? If the answer is yes to most, if not all, of these questions, it's a clear winner! There are so many toys out there, and it's tough to know what to choose! 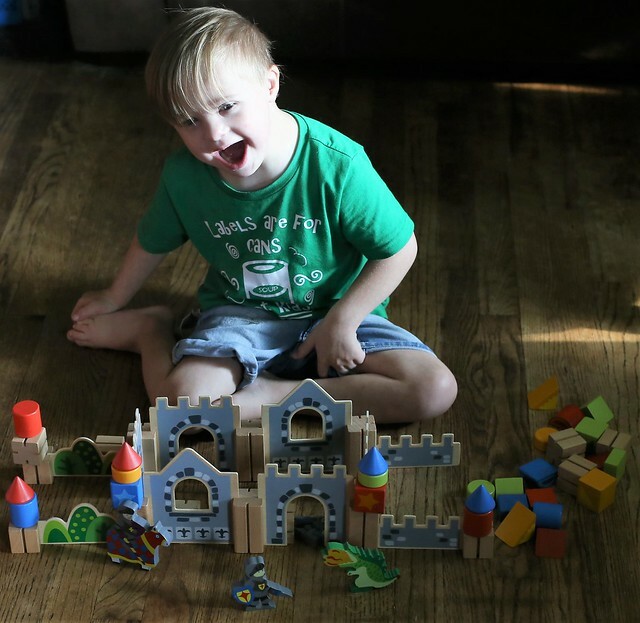 Filling your home with a few main toys from each area of development will cover all of the bases! 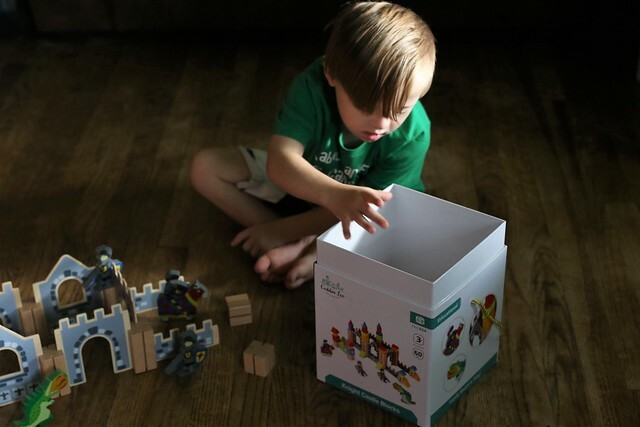 Now that we've talked about the five main areas of child development, and choosing the perfect toys for quality play, I want to highlight a toy company that gets it right! 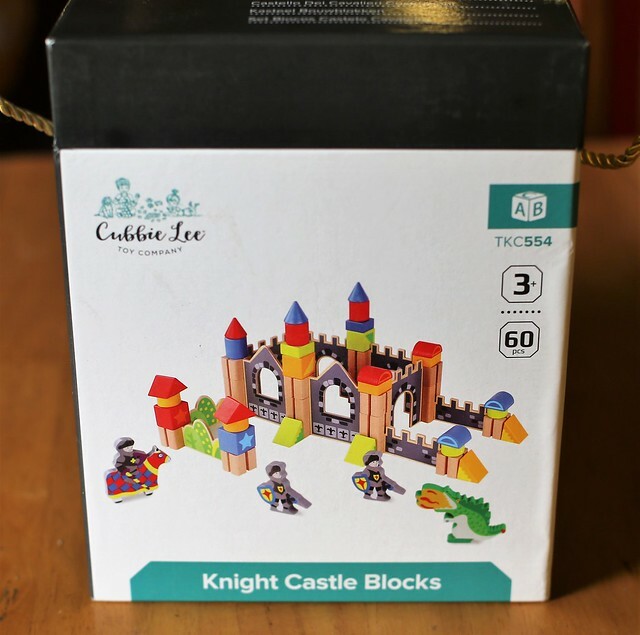 Cubbie Lee Toys offers classic toys that encourage creativity and imagination, and are a perfect fit for building skills in all areas of development. 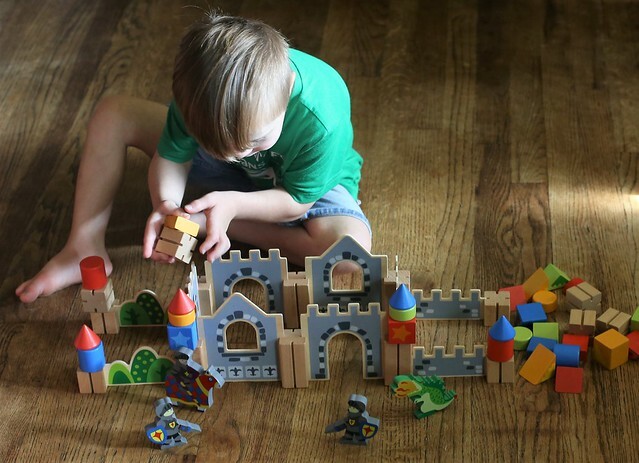 We have a good mix of plastic "noisy" toys and classic wooden toys in our home, and both have been beneficial for our kids. 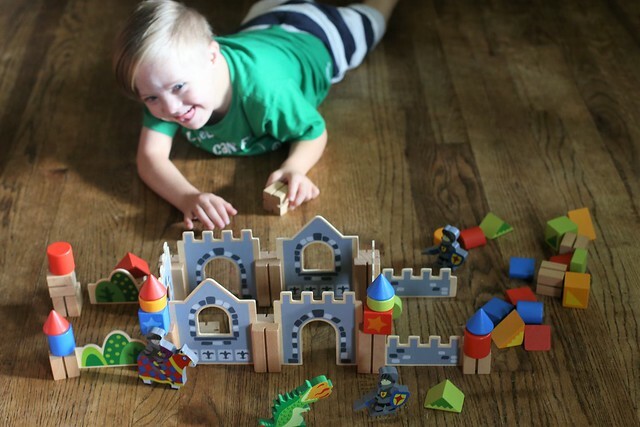 Cubbie Lee Toys is the go to for quality wooden toys that are timeless, fun, and educational! 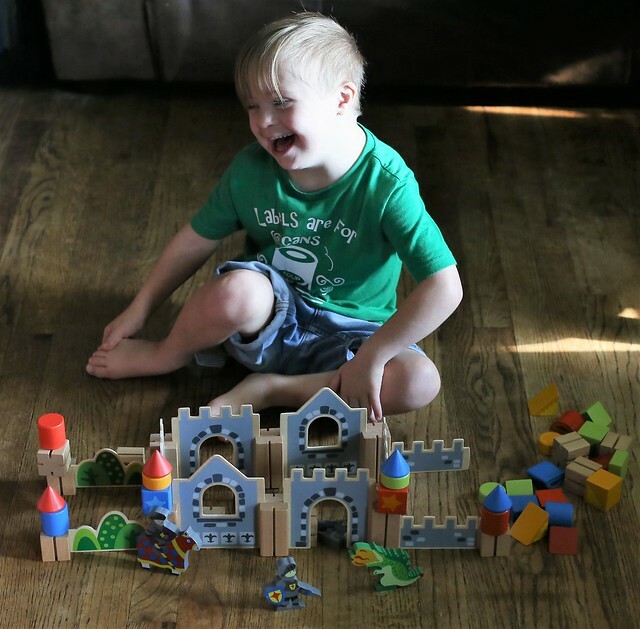 I think blocks and building sets are versatile toys that tackle all 5 areas of child development. 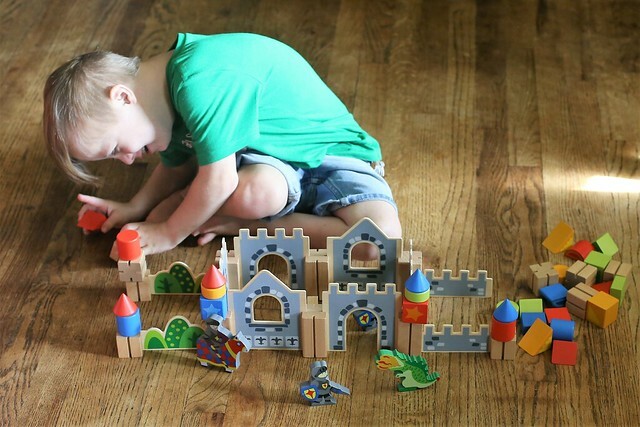 We have some wooden blocks, but I was looking for a more advanced set for Liam, that would inspire creativity. 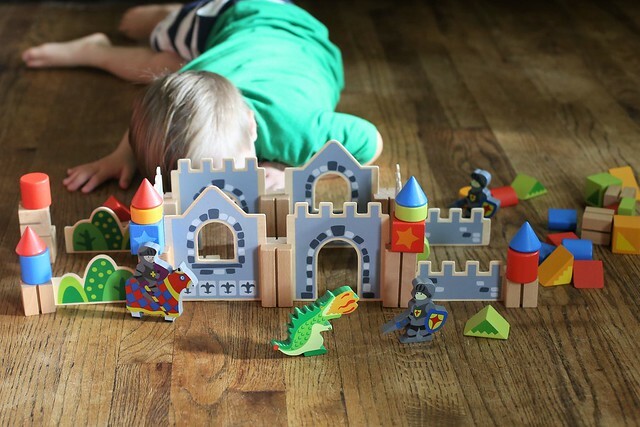 The Knight & Dragon Castle Wooden Building Block Set was the perfect choice! 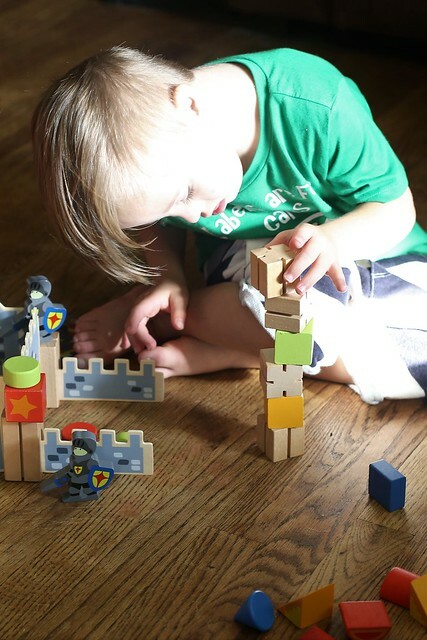 Stack the blocks to work on fine motor skills...bonus points for knocking it down! 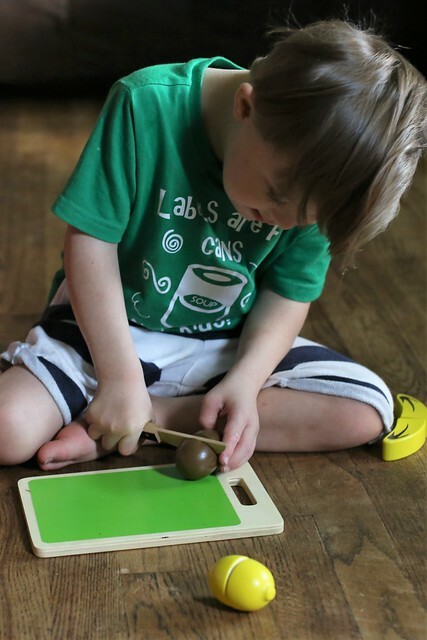 Vocally identify colors and shapes while playing. Sort the blocks by color. 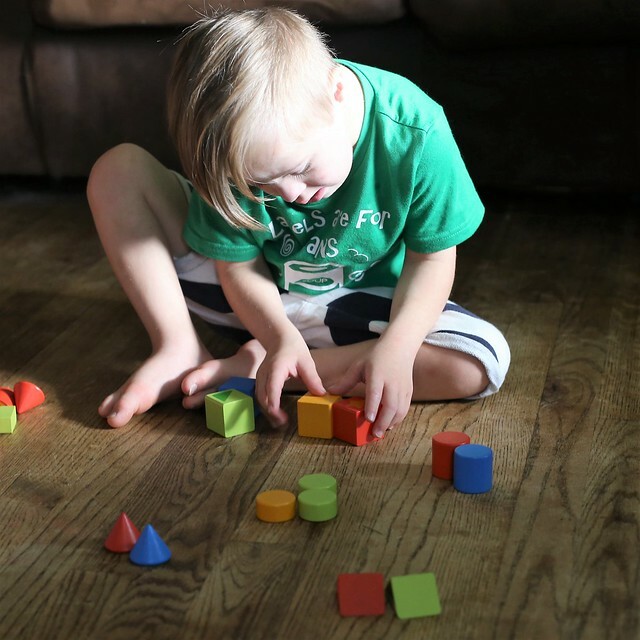 Sort the blocks by shape. 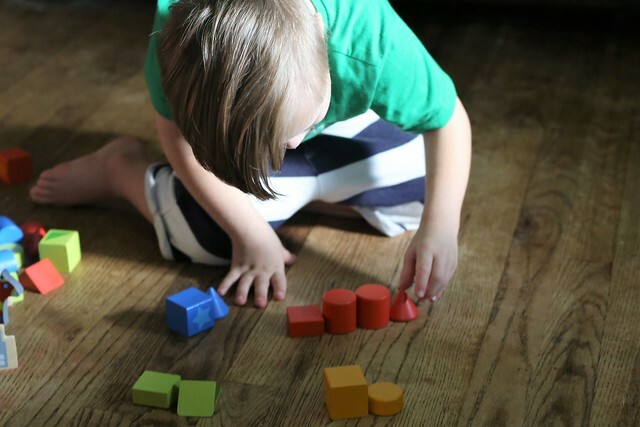 Play on the floor to encourage gross motor movement. Work together to build something with a friend or family member. 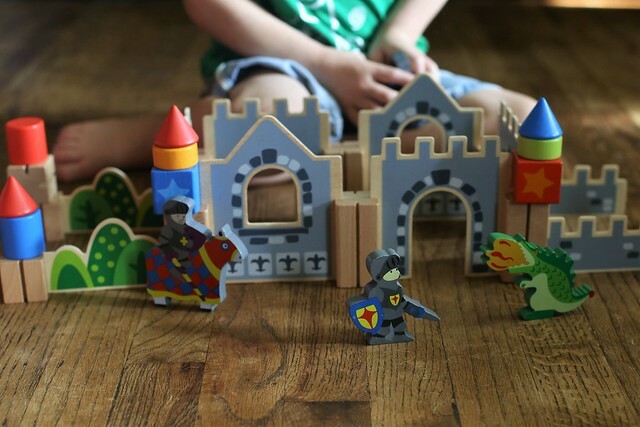 One of my favorite features of the Knight & Dragon Castle Wooden Building Block Set is the easy cleanup and storage, thanks to the sturdy storage box with a rope handle! Vocally identify each fruit and color while playing. 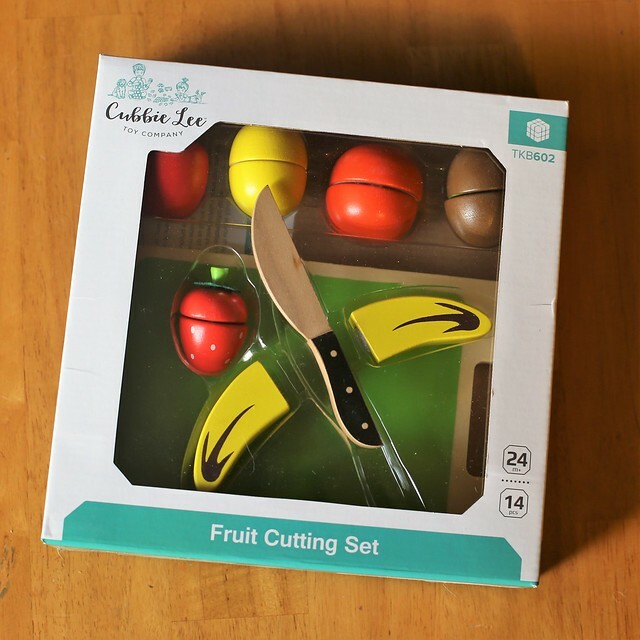 Start with hand over hand cutting, then progress to just helping your child start the cutting process until they can do it on their own. Play with a friend or family member! Play on the floor to encourage movement. Make play about fun, and don't force the learning aspect. Kids will learn THROUGH play. Don't forget about the importance of vertical play! Think easels, chalkboards mounted on walls, magnets on the fridge, and sticky paper murals! Talk to your child as often as possible, from an early age. Use descriptive language to identify colors, shapes, objects, feelings, actions, etc, while talking. Make reading a priority each! Consider playing games together as a family. 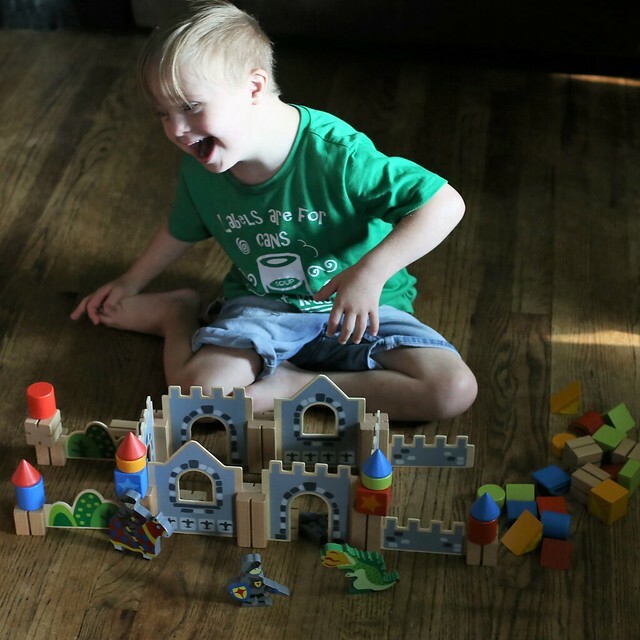 There are so many fun, age appropriate games that address all areas of development. 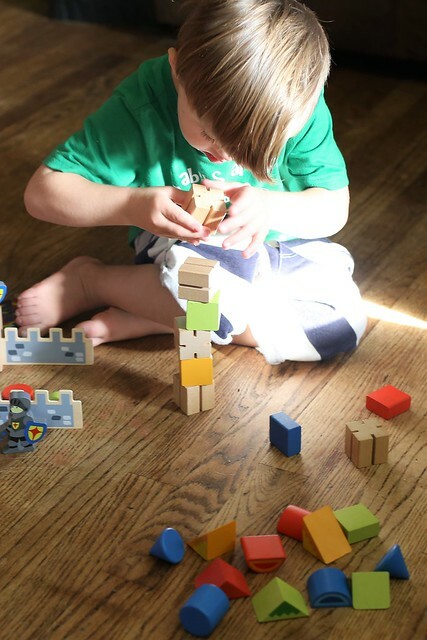 Rotate toys to keep things fun and interesting! The benefits of play are endless! There's a reason why many experts use the phrase "play matters." If kids are allowed to play - and play often - they will build strong skills in every area of child development! 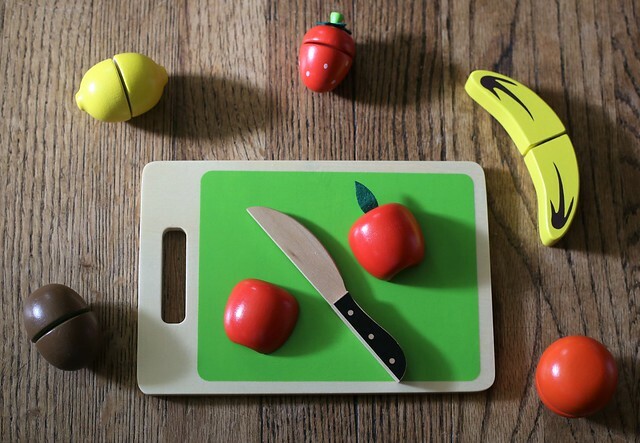 I love toys that encourage creativity. These blocks look great! I agree! The blocks are so cute. Lily and Lexie even play with them!